I wanna rewatch V For Vendetta so bad right now! Too bad I don’t have it on DVD or blu-ray! I really must get around to buy this movie! 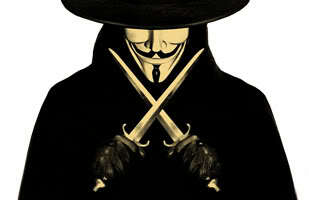 Hugo Weaving is so badass in his role as V.
Remember, Remember the 5th of November. The Gun powder, Treason and Plot. I know of no reason why the gun powder treason should ever be forgot.